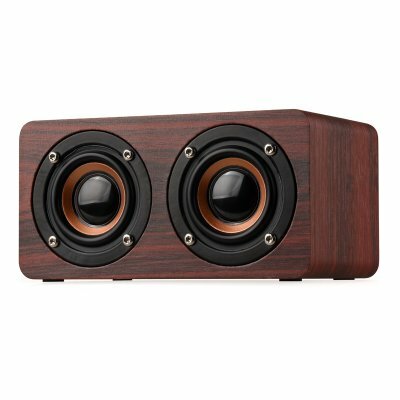 Successfully Added Wooden Bluetooth Speaker - 10W Output Power, 3.5mm Audio Input, Control Panel, Build-in Mic to your Shopping Cart. Greatly enhances the sound of you audio device with this protable wooden bluetooth speaker. It has small body and looks really nice to put it on your desk or take it outside with build in battery. It compatible with most of bluetooth devices and also has 3.5mm audio in port, you can enjoy your music freely with it. What is more, it support TF card music play and with control panel to switch music. You do not need to worry about answer phone call as it has Mic could handsfree with this bluetooth speaker. This portable Bluetooth speaker comes with a 12 months warranty, brought to you by the leader in electronic devices as well as wholesale electronic gadgets..